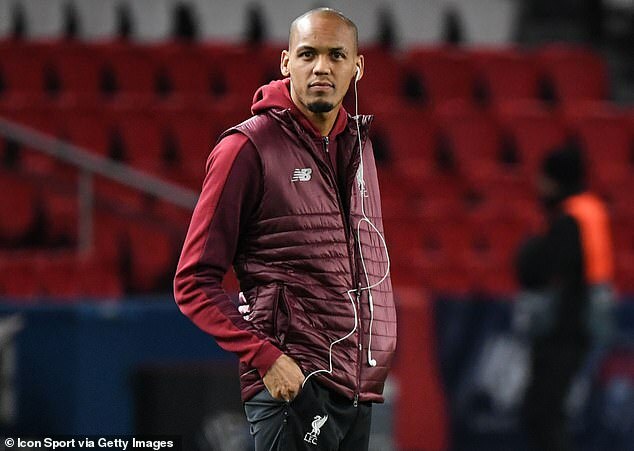 Fabinho was an unused substitute as Liverpool lost 2-1 at PSG on Wednesday night but he may be partly culpable for his side’s poor showing. 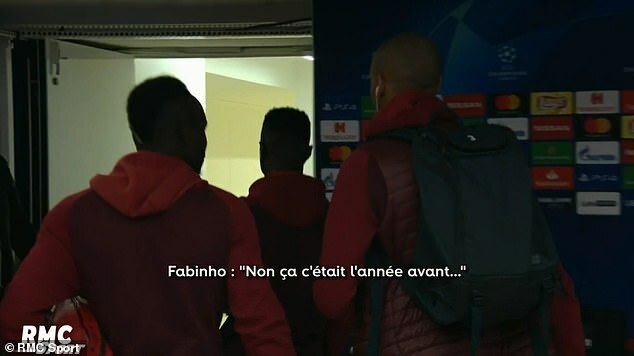 The Brazilian midfielder was overheard talking to team-mates Sadio Mane and Naby Keita when the Reds arrived at the Parc des Princes and his message was not one that would be likely to inspire confidence. 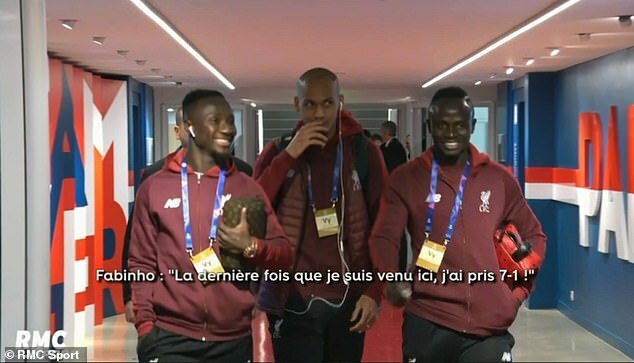 Former Monaco man Fabinho reminded Mane and Keita that he had suffered a 7-1 thrashing on his previous trip to the famous Paris stadium. Fabinho won the Ligue 1 title with Monaco in 2017, but PSG finished 13 points clear at the top the following season. And the Parisians are already 15 points clear after just 14 rounds of fixtures this term. 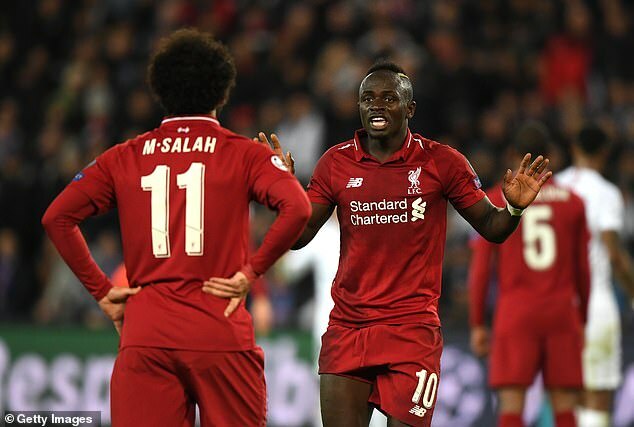 Mane played the full match for Liverpool on Wednesday, while Keita made a 35-minute cameo as a sub. The defeat left Liverpool needing to beat Napoli either 1-0 or by two clear goals on matchweek six to guarantee their place in the knockout phase. PSG’s fate is also in their own hands. Thomas Tuchel’s side must beat Red Star to be sure of progression to the last 16.